I’ve finally decided on the balance of gameplay I want to achieve. When I look at similar-genred games, such as the Advance Wars and Fire Emblem series’ I see them veering either one way or the other – the AW-like chess-style pieces (closer to RTS, really) which are completely chosen by the player, or the FE-like story-based characters, which makes for a far more puzzle-based experience. 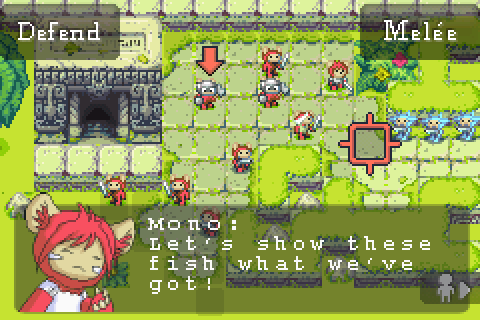 FF Tactics seems to go for this too. Anyway, I’ve got lots of solid design done which I’m keeping in a proper document, with a semi-formal schedule and everything, now that I have the talented miss Selina Dean (from UK manga collective, Sweatdrop Studios) to help me with portraits and background art.